Looks cool, fits the car's style, and it way more comfortable than the stock one. $11.99 at AutoZone in San Antonio TX. Looks good. Just now have to upgrade shift boot too. Just now noticed the little differences with DE and SE. BUT... BUT! There are no numbers on it! How do you know what gear you're in? Thanks! And I cannot emphasize enough how much more comfortable it feels. Maybe because I'm 40+. Haha. About the trim differences, yep... You get some silver detailing on places like the steering wheel, the dashboard. I think Mitsubishi pulled that off (the silver trim) quite nicely. My question is do the numbers change if you're in Europe? Hahaha! It's funny how we just know which gear we're in, without even thinking about it, huh? 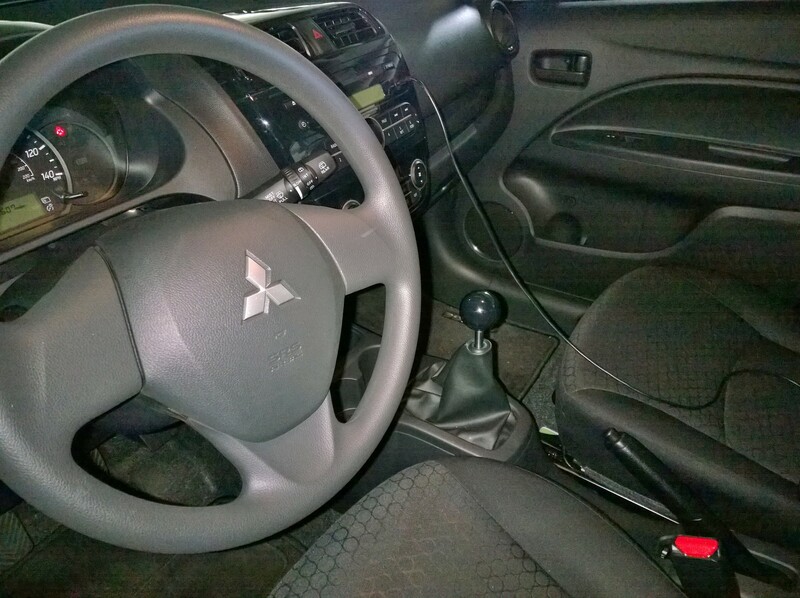 Interesting fact: In NSW(Australia) That shift knob would be a defect as no H pattern is on the top. To cover this, you must have a H pattern sticker nearby. What is the size of the shift knob?what is the thread? Very interested in this information as well. Please let us know.